A seat lion for entry way Residence or for Pilaster gate. 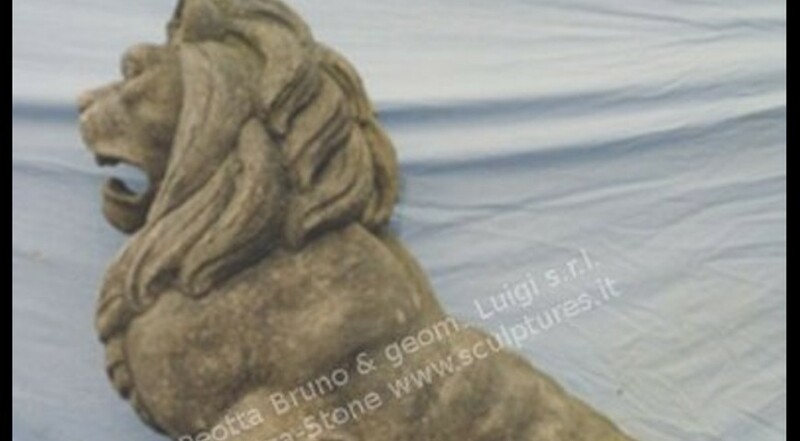 This lion sculptures were used in the past in numeros italian gardens as gateways decorations. Dimensions: Length 36 " x Height 44" x Depth 18"